Aspen – Denver, overnight in Denver, Denver – San Francisco, San Francisco –Seoul, Seoul – Pyeongchang….it was a long trip and 48 hours later I feel human again. We are lucky to have been a host family for a couple of Korean students at Courtney and Tommy's school – Colorado Rocky Mountain School. One of these “Korean Sons” Jay, a student at Purdue, is here for his mandatory 18 month stint in the army. 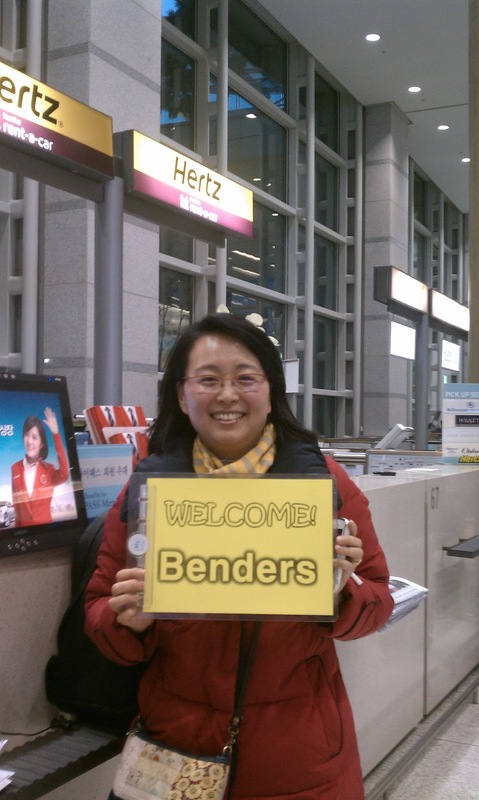 His mother was nice enough to greet us at the airport and help us through the car rental challenges. 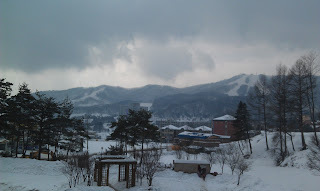 We are staying three hours east of Seoul, close to the coast and an hour or so from the DMZ. 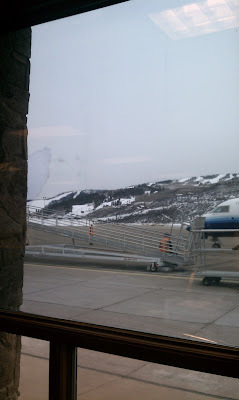 The weather is cold, gray and damp, a far cry from our bright and warm Colorado days. 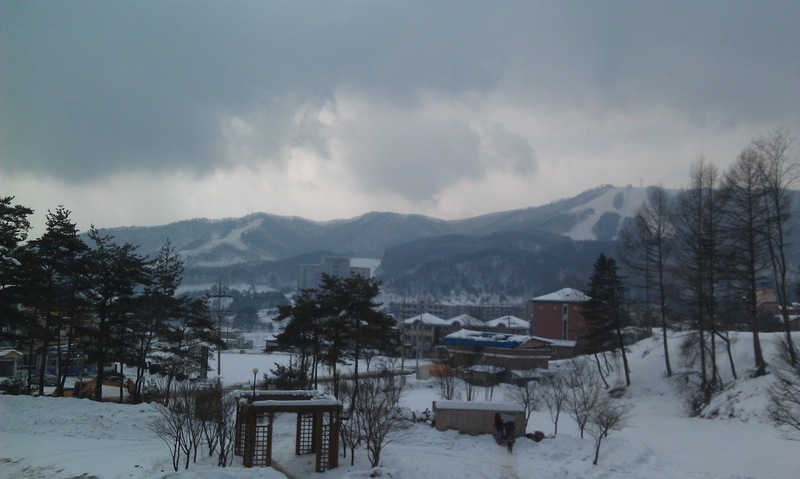 We rented a junior suite at a resort called Phoenix Part, about 30 minutes from the main ski and snowboard competition resorts of Alpensia and Yongpyong. The suite is very efficient with one large bed set on a wooden platform and two sleeping pads with comforters for the other two. More about Korean accommodations later. Korean food is interesting; I still have a lot to learn. 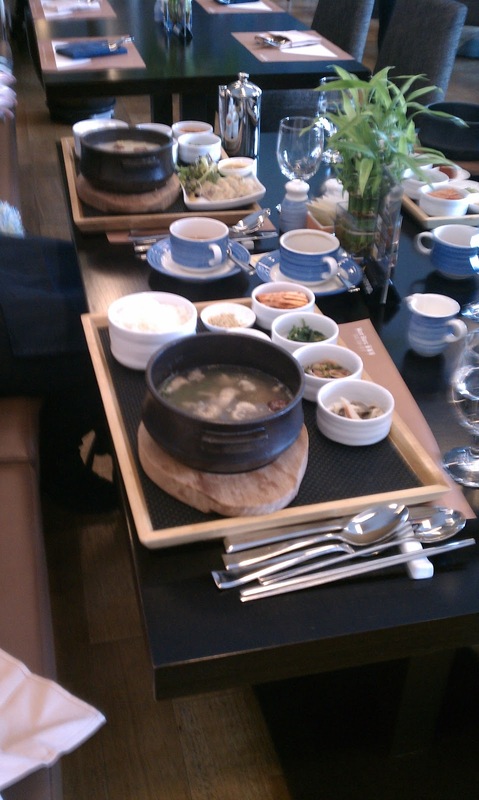 Our first real meal was at a hotel at the Alpensia resort, location of the main family reception area. The duck soup was bland, but comes with a number of side dishes, which I assume were supposed to be added to the soup. My Korean stomach still needs to develop, and I was not brave. I have only seen Alex from a far at the Opening Ceremonies, and in this case no news is good news. Off to check out the seaside towns and hopefully the DMZ.